HANOI – On May 3rd, Vietnamese Deputy Prime Minister and Foreign Minister, Pham Binh Minh, called the Chinese State councillor, Yang Jiechi, in order to express his concern over the deployment of a US$1 billion deep-sea oil rig in what appears to be Vietnamese waters. The HD-981 rig is currently accompanied by several Chinese military vessels. According to Mr. Minh , such action infringes international law and violates Vietnam’s sovereignty over the Hoang Sa archipelago and its jurisdiction over the exclusive economic zone and continental shelf. Furthermore, Mr. Minh requested that China withdraw the oil rig and join a round of talks with Vietnam in order to work towards a peaceable solution. Foreign Ministry spokesperson, Le Hai Binh, has also stated that any foreign drilling operation conducted in Vietnamese waters without express permission is illegal; China’s move affects the relationship between the two countries and Vietnam strongly protests it. On Sunday, the Vietnam Oil and Gas Group (Petro Vietnam) sent a letter to the director of the China National Offshore Oil Corporation (CNOOC) asking that it withdraw its oil rig from Vietnamese waters. Petro Vietnam also stated that extracting mineral resources from Vietnamese waters violates the cooperative spirit between the two national oil and gas groups as well as violating international protocols on oil and gas extraction. China and four members of the Association of Southeast Asian Nations (ASEAN), including Vietnam, the Philippines, Malaysia and Brunei claim territory in the South China Sea. China’s claim is the largest, covering most of the sea’s 648,000 square miles (1.7 million square km). The Chinese oil rig is currently located close to the Paracel Islands that are controlled by China but claimed by Vietnam. China has exercised effective control of the Paracel islands for over 40 years. The disputed islands in the region have a history of causing violent clashes between the claimants, such as the 1974 battle of the Paracel Islands and a 1988 conflict near the Spratly islands. 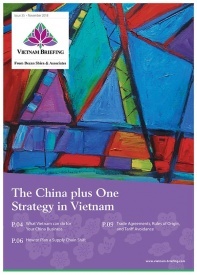 Vietnam has repeatedly stated that it attaches great importance to the friendship and comprehensive strategic cooperative partnership with China (an ideological ally), to peacefully settle all sea-related disputes and divergences between the two countries on the basis of international law. 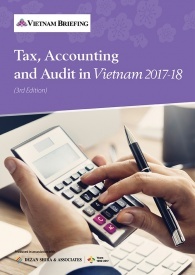 However, some Vietnamese citizens wonder whether the Vietnamese government is too close to the Chinese to make a more forceful complaint. Vietnam must walk a fine line when dealing with China since it does not want to run the risk of damaging its trade relations with the larger country. 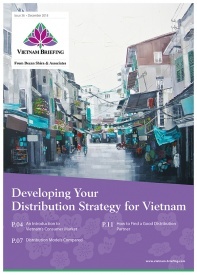 China is one of Vietnam’s largest trade partners, in 2013 Vietnam exported products worth a total of US$50.21 billion (10 percent of total export value) and imported from China US$36.95 billion worth of goods (28 percent of total import value). Trade between the two countries in 2015 is expected to reach US$60 billion. Deputy PM Minh has stated that Vietnam wants to solve all territorial disputes with China peacefully but “will apply all necessary and suitable measures to defend [Vietnam’s] rights and legitimate interests” in the region. 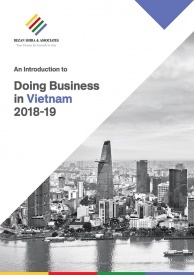 An Introduction to Doing Business in Vietnam 2014 (Second Edition) provides readers with an overview of the fundamentals of investing and conducting business in Vietnam. 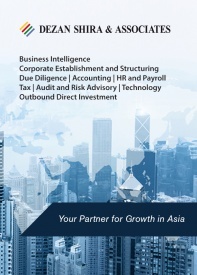 Compiled by Dezan Shira & Associates, a specialist foreign direct investment practice, this guide explains the basics of company establishment, annual compliance, taxation, human resources, payroll, and social insurance in the country. 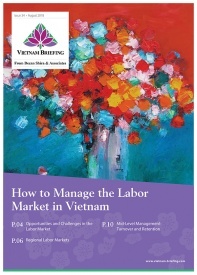 Has Vietnam Fallen into the Middle Income Trap?